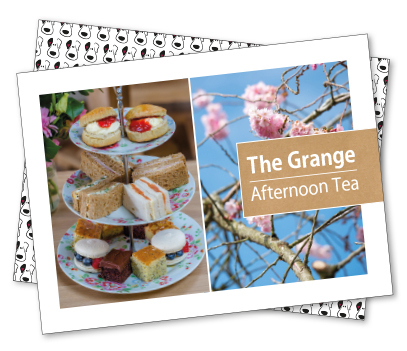 Enjoy a quintessentially English Afternoon Tea at The Grange. 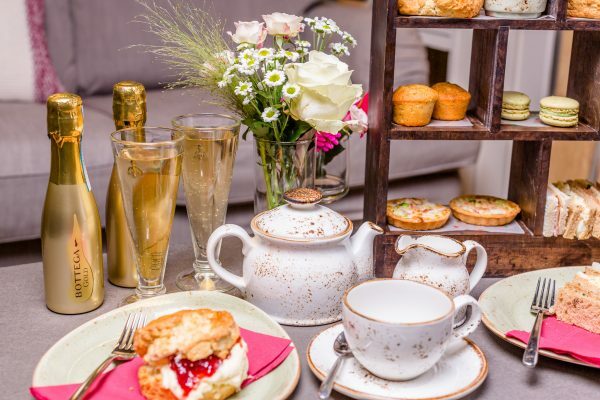 Tempt your taste-buds and treat yourself to our delicious and traditional Afternoon Tea – a selection of delicate finger sandwiches with an assortment of fillings, miniature quiche, scones served with clotted cream and strawberry jam, and an assortment of tasty miniature cakes. 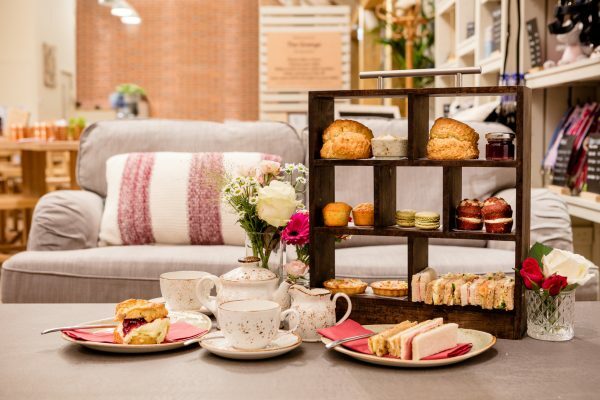 You can enjoy Classic Afternoon Tea with your preferred pot of freshly brewed tea for £12.50 per person. There’s only one experience better than our Classic Afternoon Tea, and that’s our Sparkling Afternoon Tea! For special occasions, why not indulge a little by adding a chilled mini bottle of Prosecco (200ml), all for £19.95 per person? Come and join us at The Grange for the perfect sweet and savoury afternoon treat, available every day from 2pm – 3.45pm. Why not treat someone special to a Classic or Sparkling Afternoon Tea Gift Card? This pretty voucher offers Afternoon Tea for one, presented in a puppy-face envelope and valid for one year from your purchase date. Buy a voucher in our Gift Shop, or visit Hearing Dogs for Deaf People’s online shop.